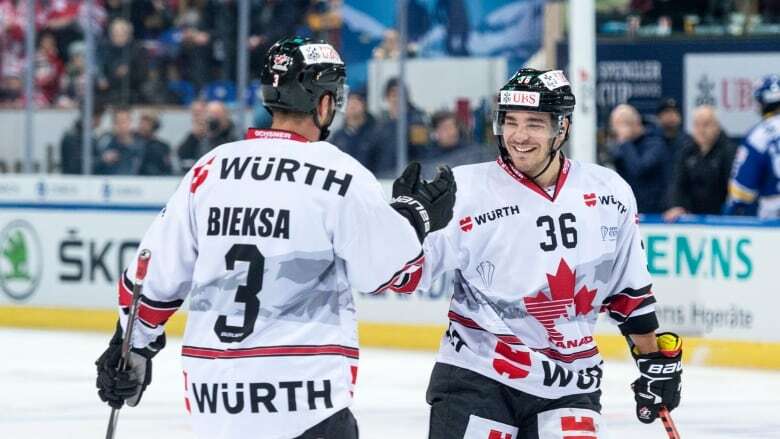 Matt D'Agostini's goal early in the second period stood as the winner as Canada held off HC Davos 2-1 on Wednesday in both teams' opening game at the Spengler Cup in Davos, Switzerland. Thierry Bader ended Fucale's shutout with less than two minutes remaining in the second period and Anders Lindback stopped 34 shots for HC Davos. "Overall, I think we played well for our first game here," said Canada head coach Kevin Dineen. "They are a good team with a lot of experience and they applied some pressure late in the game. We were able to stick with it and come away with a win." HC Davos hosts what is considered the world's oldest hockey tournament annually. "There were a lot of positives in the game and a lot of things we can take in to Friday's game," said Dineen. "We'll also look to improve in a few areas as we progress through the tournament, but it's nice to get the first win."